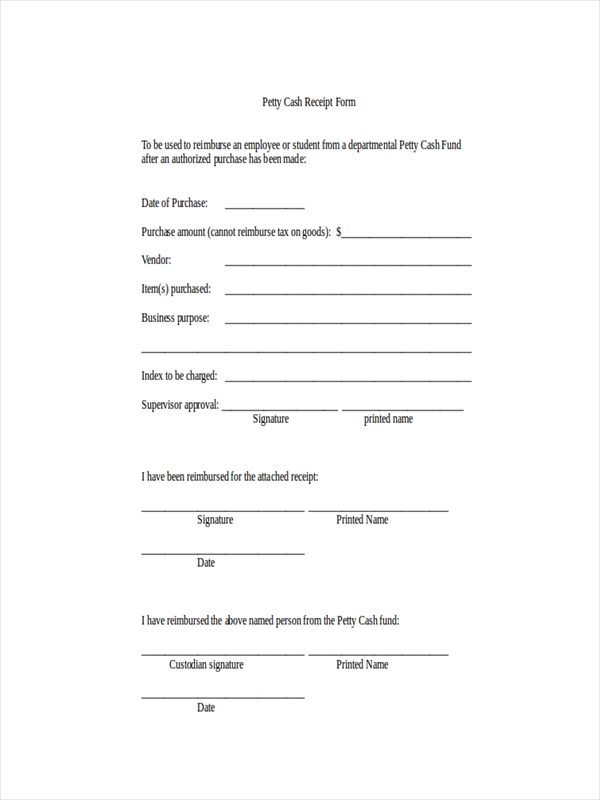 Every organization or company surely has cash funds readily available for sudden or unexpected expenses. This fund is known to be petty cash. 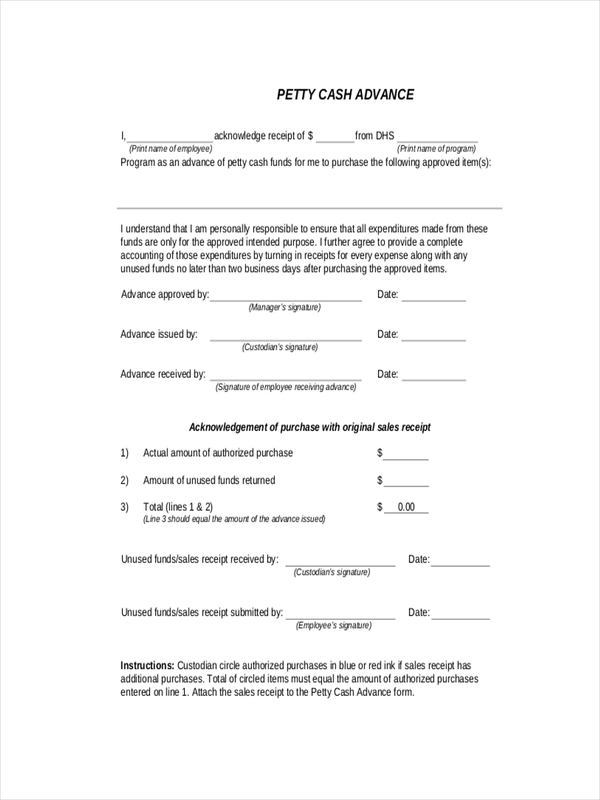 In a business, all expenditure must be accounted for to cash flow and other related reports needed in assessing the business. 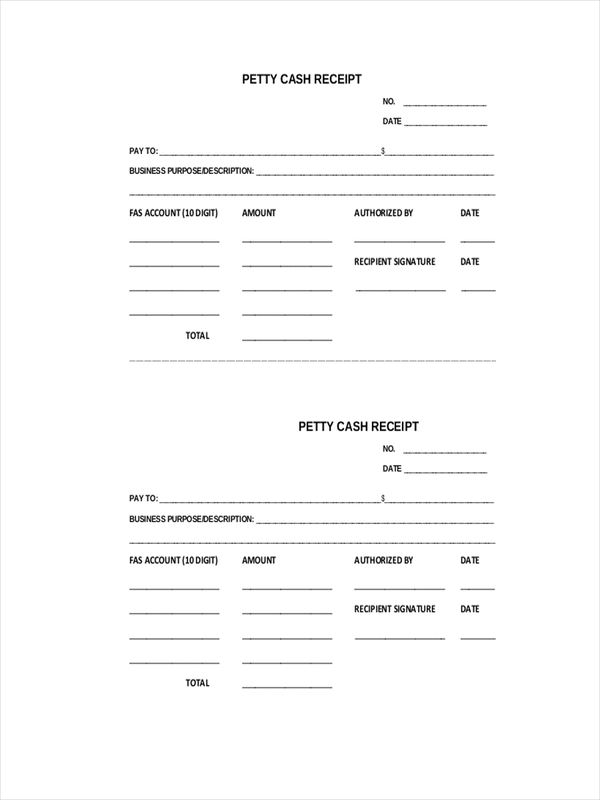 The petty cash receipt examples in the page may provide information and inspiration in making a constructive receipt or a security deposit receipt. All of the samples are available for download by clicking on the download link button below each sample. Go ahead and scroll down for more samples and topics. 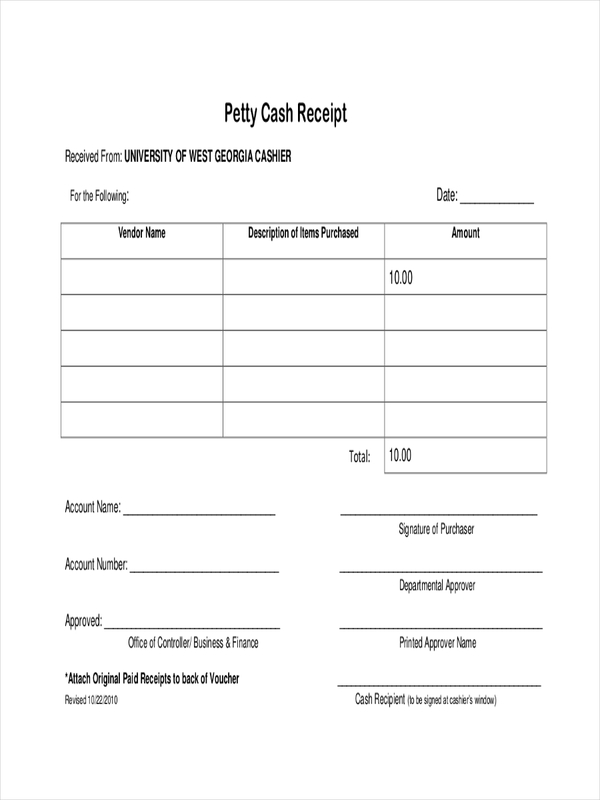 A petty cash receipt is a document used to record small payments taken from an organization or company’s petty cash fund for unexpected expenses. Cash receipt examples and receipt examples in excel found in the page may be used as basis to understanding what a petty cash receipt really is. 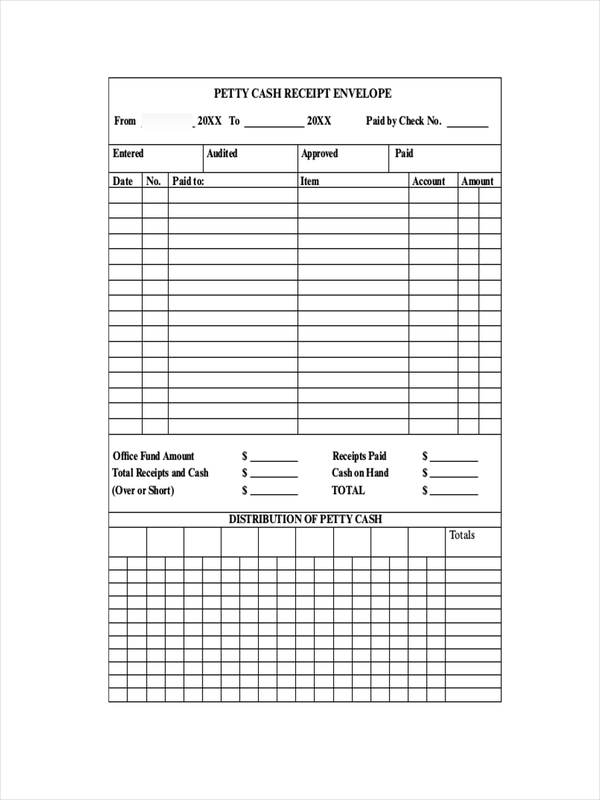 Petty cash receipts are a common sight in workplaces that constantly need to draw out funds for small expenses involved in the operation of a business. Petty cash receipts only have a simple goal of recording an expense so it can be processed and funds can then be withdrawn to replenish what was taken. 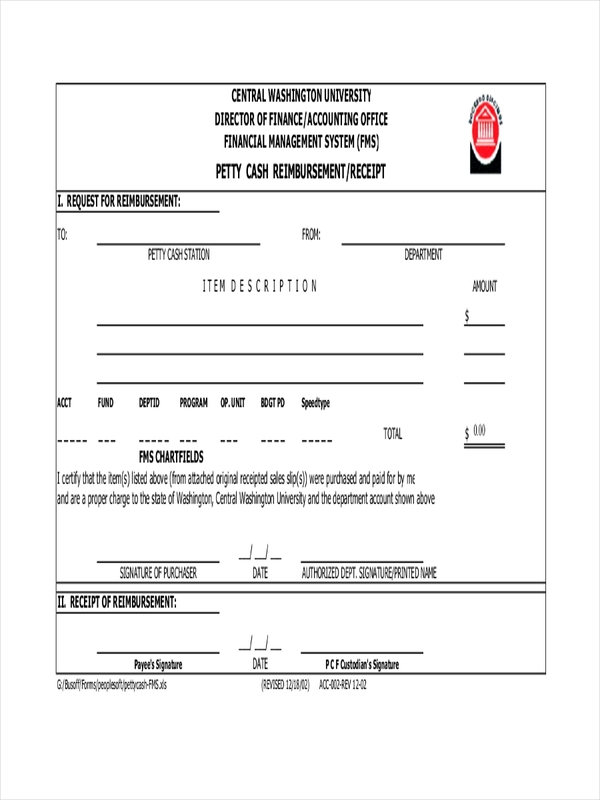 What Is the Purpose of a Petty Cash Receipt? 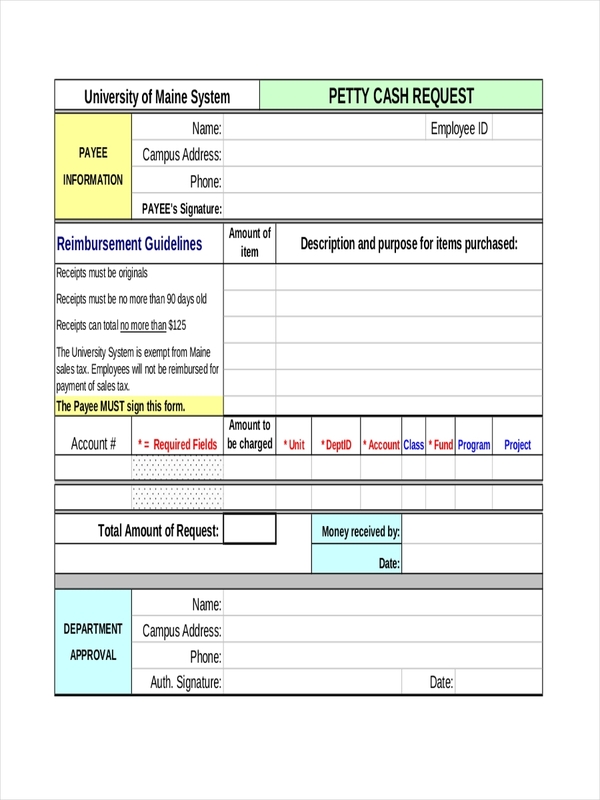 Related receipts such as donation receipt examples can be drafted by understanding how petty cash receipts are made. Keeping track of expenses made through petty cash is important to effectively handle expenditure done at the small level. 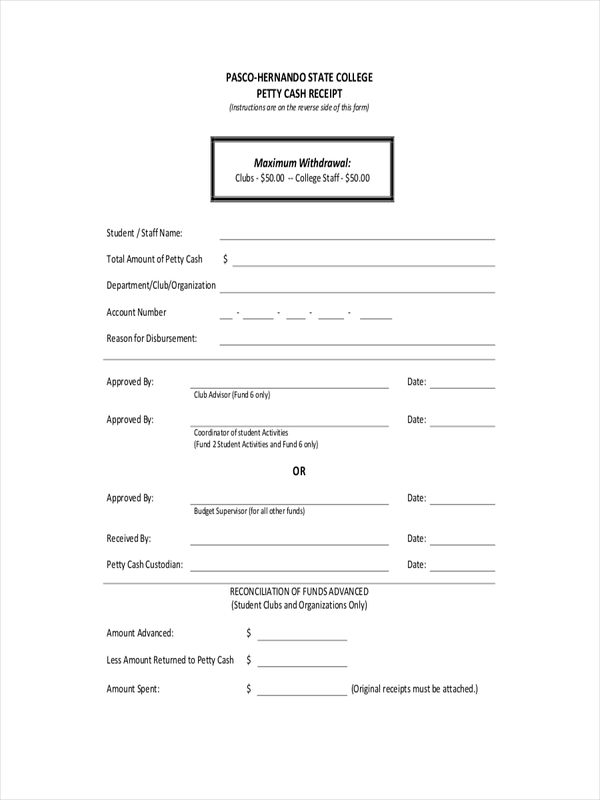 To get you started right away, check out some fully modifiable receipt examples in MS Word doc format.